Notes: "Never design a starship unless you have to", or perhaps Klingons do not make good engineers. What ever the reason there are a variety of Klingon ships that all use the same space frame only scaled in dimensions or slightly modified from its predecessors. These ships presented here are collectively known as Klingon variants. The fist form of Klingon ship variants is scaling. The most common example of the scaling is the standard bird of prey design. Starting with the basic 150 meter B'rel class that carries 12 warriors and serves as a scout in the Klingon fleet; the bird of prey design was scaled up to the massive K'vort class that is nearly 700 meters long capable of carrying 1500 Klingon warriors into battle. This version of the bird of prey serves in the cruiser role in the Klingon fleet and is match for any Federation Galaxy class or Romulan D'deridex class. Scaling continues into small 50 meter bird of preys operated by a few crew members and there are reports of bird of prey designs even larger then the K'vort class. Due to the variety of ship sizes most of these ships are not tracked with a class designation, only the general term Klingon bird of prey. The second form of Klingon variants is the re-use the same basic battle proven space frame for successive generation of ship classes. The most obvious example of this behavior is Klingon battle cruiser design. The fist known example of the common battle cruiser design dates back over 200 years, followed by the noted D-7 class which strengthening the Empire against the expansion of the Federation over 100 years ago. 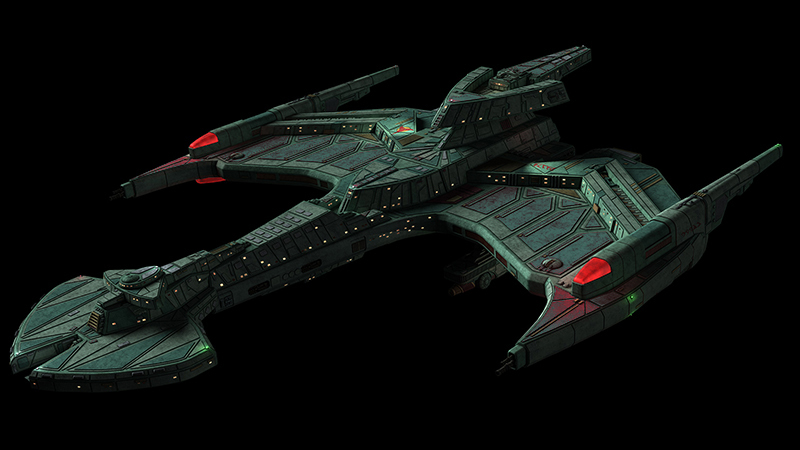 The most recent Klingon battle cruiser design is the K't'inga class; first introduced into service in the late 23rd century the K't'inga class continues in service to this day. The Vor'cha class has now supplanted the K't'inga class as the main battle cruiser of the Empire, though it is clearly not the same space frame, the design influence is clearly visible. The third for of Klingon variants is alternate timeline and universe ships. While not technically Klingon ship classes, may be likely that the Klingon Empire could start using these ships in the near future and are presented here to be prepared. 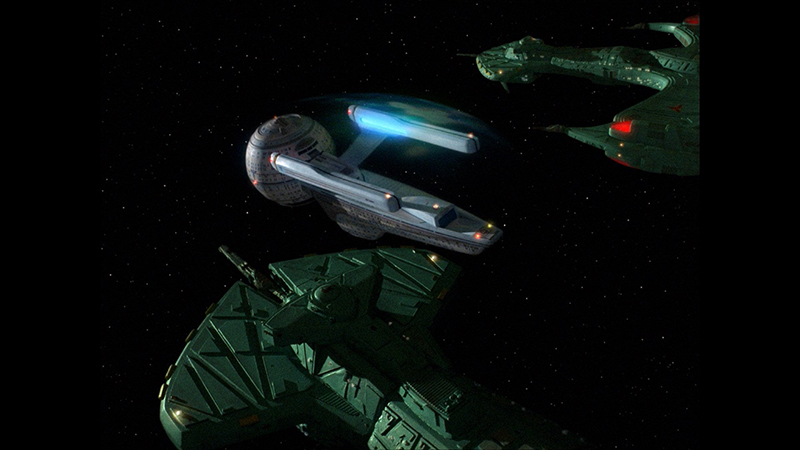 One example of these alternate ships is the Negh'var class. In our universe the Negh'var is only 700 meters long, but there are unconfirmed reports of a mirror universe Negh'var class that may be well over 2000 meters long, it is speculated that this ship has the firepower to match its size. A second example of an alternate Negh'var class is the future variant; these ships seem to be slightly more then half the current Negh'var class' length and server in a light cruiser role. Several of these ships have been documented by the Federation in the early 25th century.